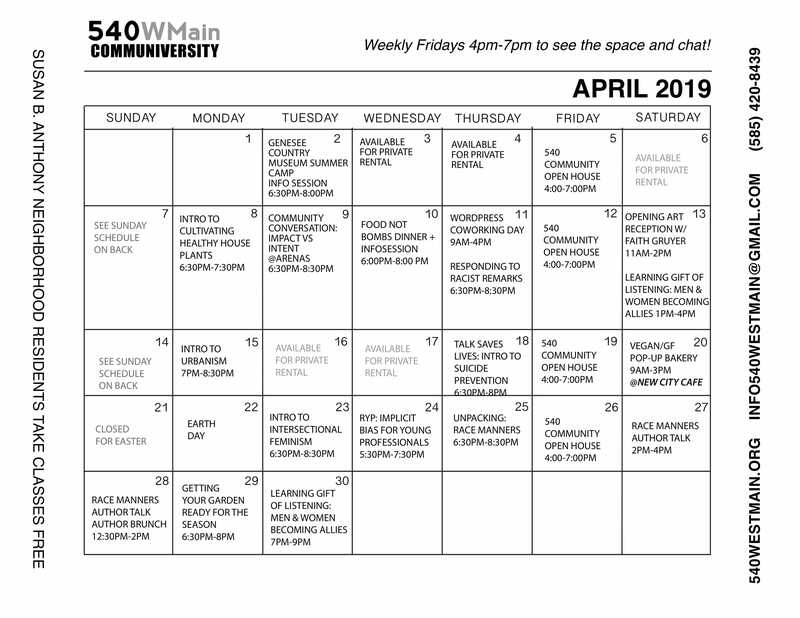 540WMain is a community space dedicated to providing a clean, professional, and positive atmosphere for residents and entrepreneurs of the Susan B. Anthony neighborhood, neighboring Southwest quadrant, and Greater Rochester region to grow and prosper. At its core, 540WMain is a place to grow and prosper. Essentially anything and everything can happen at 540WMain. 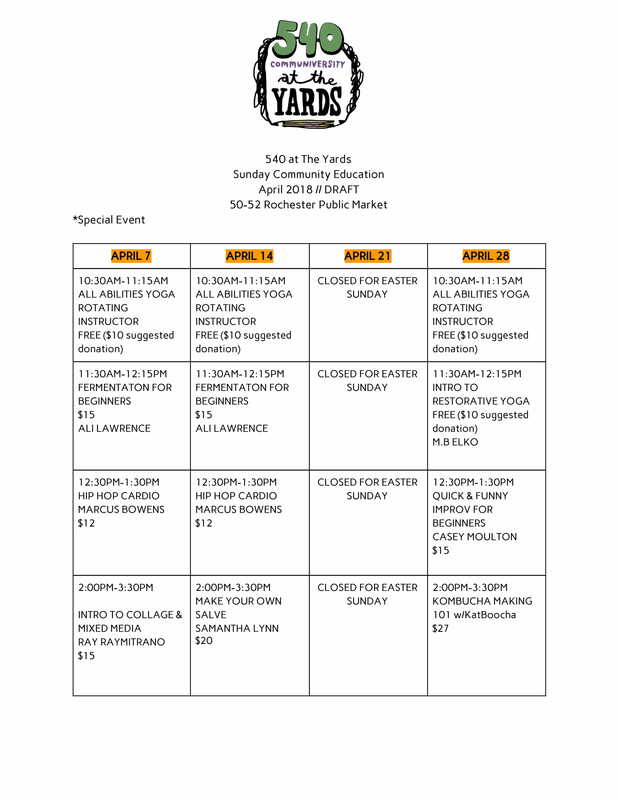 For information on renting one of 540’s community spaces visit the Rent540 page here.